Dental x-rays can serve an important role in assessing oral health, but sometimes they may make some people feel uneasy due to the inherent radiation involved. X-rays provide valuable information and are a necessary part of good patient care. Since we can see only about one-third of the actual tooth, the x-ray can address any concerns that are not visible to the naked eye. The x-ray image allows dentists to diagnose diseases in the gum, bone, ligament, and tooth, as well as cavities that may be between the teeth. X-rays can also help dentists see some types of tumors, infections in the bone, and any cysts that would ordinarily be hidden from plan view. However, exposure through dental x-rays is comparably minimal considering the amount of radiation exposure that comes from the natural environment. While x-rays themselves cause no discomfort, it may feel momentarily uncomfortable to bite down on the paper tab/film while taking the x-ray. When I go to the dentist, I’m keeping my fingers crossed that I have no cavities and hope they forget to ask me if I floss every day. The last thing I’m worried about is the radiation, but knowing if X-rays are harmful to you is still important and we want to put your mind at ease because the amount that is emitted, with a dental x-ray, is very small. For all of time, all of us have been exposed to background radiation produced constantly by the natural environment. Including minerals in the soil, outer space, as well as miniscule levels of radioactive materials in our food. Radiation is measured in rems and millirems (mrem), a thousandth of a rem. These are units for measuring the amount of absorbed radiation. On average, a person is exposed to 360 mrem a year from natural sources. These things all add to the amount of radiation you are exposed to, but again, small amounts. To put it to scale: Across-country plane ride results in exposure of about 5 mrem. The small amounts of radon gas present in natural gas used for cooking also round out about 10 mrem of exposure a year. Dental x-ray, by comparison, gives off 2 to 3 mrem. Another example is a dental X-ray has only 5% of the radiation emitted than when you get a chest X-ray. Dentists are required to cover your chest and stomach with a lead apron protecting your body from unnecessary radiation. A lead thyroid collar should also be used, especially in women who are pregnant, have children, or who are of childbearing age. Developing an ongoing relationship with your dentist so that they can track your oral hygiene and health is one way to minimize unnecessary x-rays. Ensuring good oral health is a plus and is a necessity, but getting more radiation than you need is not necessary. So, how often should dental x-rays be taken? If you are a new patient, we would take a set of new X-rays as part of the initial exam. This is to establish a record from which to compare any changes that may occur over time. Your medical and dental history as well as your current health all play factors. The frequency of getting X-rays depends on the individual circumstances of the patient. Pregnant and still worried about getting X-rays? Some women may elect to avoid dental work during the first trimester knowing this is the most vulnerable time of development. If you have dental work done during pregnancy, the second trimester is ideal. Once you reach the third trimester, it is usually postponed until after the birth. This is to avoid lying on your back for extended periods of time which could become very uncomfortable. As well, to avoid the risk of premature labor from prolonged time lying on your back. According to the ADA and ACOG, having dental X-rays during your pregnancy is considered safe with appropriate shielding. According to the American College of Radiology, no single diagnostic x-ray has a radiation dose significant enough to cause adverse effects in a developing embryo or fetus. X-rays are necessary to perform many dental procedures, especially emergencies, but the safest course of action is to postpone all unnecessary dental work until after the pregnancy. 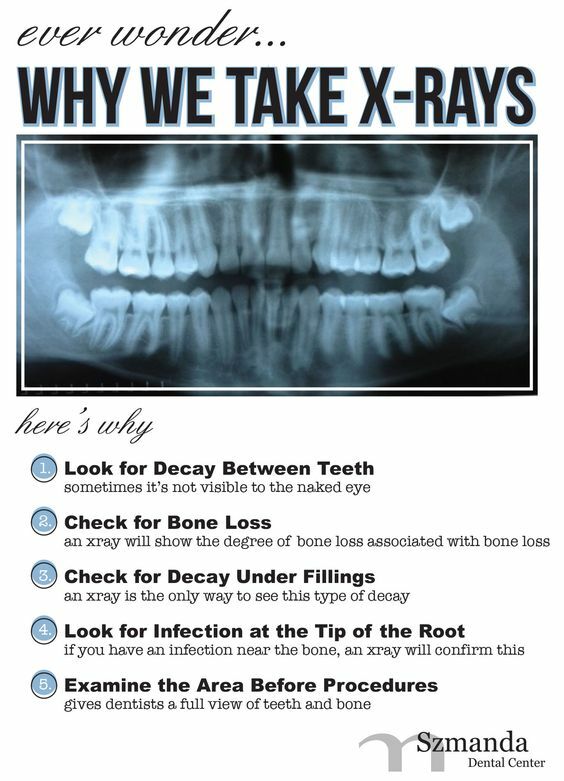 If you’re not comfortable with having dental x-rays taken, you can always discuss your concerns with a dentist. They will answer your questions and suggest other options, such as digital x-rays that give off less radiation than the traditional x-rays. Hopefully this has helped put your mind at ease about your dental visit when we ask for X-rays.